He wrote: “Kadaria, you converted to Christianity in London. 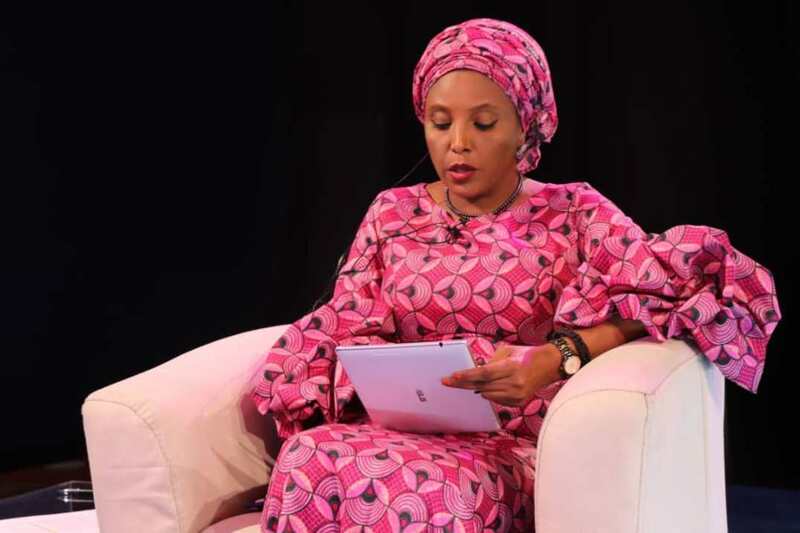 I was appalled when I heard her describing herself as a passionate citizen of Zamfara. 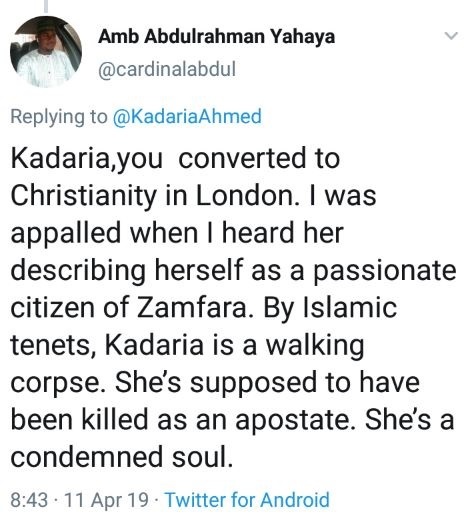 By Islamic tenets, Kadaria is a walking corpse, she’s supposed to have been killed as an apostate. She’s a condemned soul”. His tweets, however, didn’t go down well with many who called him out for it. 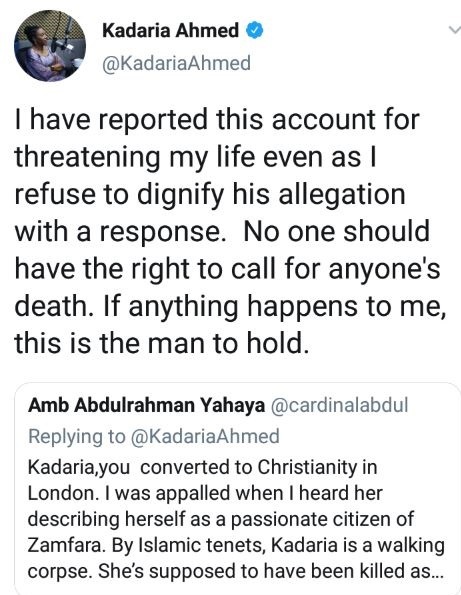 Kadaria also reacted saying; ”I have reported this account for threatening my life even as I refused to dignify his allegation with a response. No one should have the right to call for anyone’s death. If anything happens to me, this is the man to hold”.